Outdoor Playhouse Washington: Family Coming to Stay? Family Coming to Stay With You? Now that the New Year is rolling along, you’re likely looking forward to the trips you’re going to take and the adventures you’ll experience over the next 12 months. You may be planning to go see family and friends, or people may be coming to see you. If it’s the latter, then you’re going to need enough room for guests to stay, and spaces where you can entertain. When it comes to entertainment, if you have grandkids or other little ones coming to visit, then an outdoor playhouse can be the perfect solution! At Better Built Barns in Washington, we can help you find the perfect structure for your backyard playhouse. Keep reading for some great tips on how to use your new building! When you have people come stay with you, especially for an extended period of time, the house can start to feel a little crowded. Whenever the weather is nice enough, it’s good to get the kids out of the house so that they can run around and burn off some energy. A playhouse gives them a space where they can learn and explore, and make up adventures of their own. Instead of spending all of their time indoors, the kids can get some fresh air and have fun at the same time! Whenever the grandkids come to visit, they may want to watch TV and play video games because they don’t get a lot of screen time at home. While grandma and grandpa are often a bit more lenient than mom and dad about TV time, it’s good to cut down on screen time and encourage the kids to use their imaginations through other forms of play and entertainment. Instead of watching a movie about castles and dragons, they can go outside and create their own fantasy world where each child plays a role and has a quest to complete. 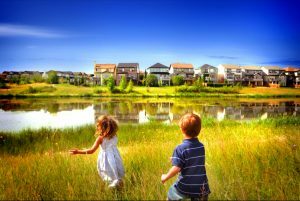 If you have family or friends coming to stay with you at various times throughout the year, then now is a great time to choose your new backyard building. An outdoor playhouse can be great for kids of all ages, and you can make it as standard or as luxurious as you want. You can add heating and cooling for year-round use, and you can wire it for electricity so that the kids have their own special viewing area for their favorite movies and games (unless, of course, you’re trying to cut down on their screen time). Look through our gallery today to see if any buildings stand out to you. We’ll gladly answer any questions you have about our inventory, and we can provide site preparation and installation information for your new structure. 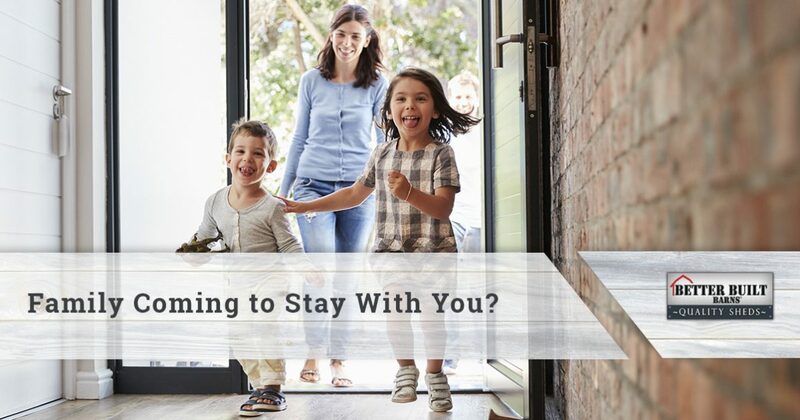 Once you’re ready to move forward, we’ll get your building up quickly so that you and the entire family (and anyone who visits) can start to enjoy it. We always work quickly, and most playhouses can be finished in as little as one day.